Even after scraping the bottom of the genre barrel there’s comfort in knowing that there’re still traditional gialli worth seeing, and The Fifth Cord happens to be worth seeing. Granted it doesn’t really try anything new; it’s nonetheless a grand deluxe to have a cool and likable, at least when he’s not slapping his mistress, Franco Nero in the lead role. The kills are decent for the time, even if they are frequently telegraphed from a mile away. The late great Rossella Falk is given the usual cruel giallo treatment with a harsh murder scene, existing in the story as doomed fodder for the killer, as in Seven Blood Stained Orchids and The Black Belly of the Tarantula. Guessing who the killer is won’t be too tricky a task, but it’s the motive that will have viewers fooled with a sleight of hand by script writer and director Luigi Bazzoni. 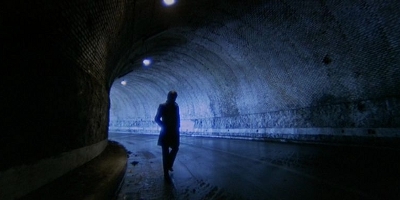 Viewers will come for Franco Nero but will stay for the cinematography, by Vittorio Storaro, that gives the familiar giallo hallmarks a prepossessing aesthetic.